2-hour private narrated sightseeing boat cruise through the Peterborough Lift Locks on the Trent-Severn Waterway. Visit to the "Incredible Edibles" festival in Campbellford. For more information about a pickup location, please click on it's name below. Children 10+ welcome on this tour, same price as adults. 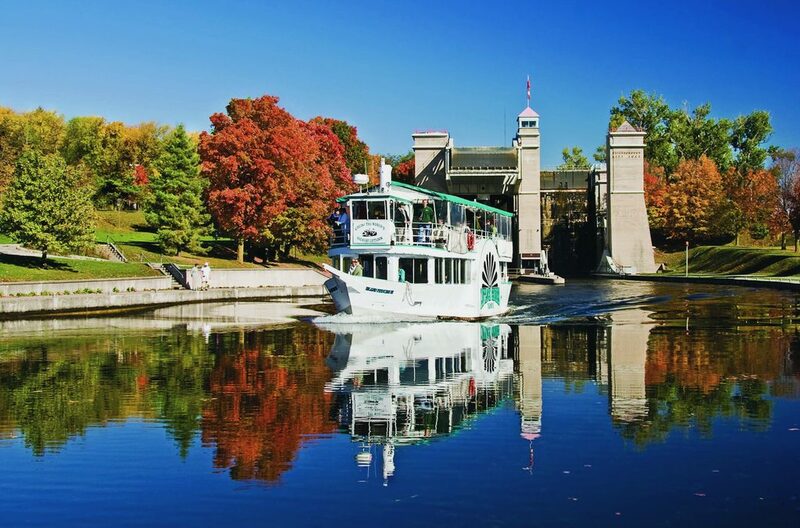 Enjoy this private 2-hour sightseeing cruise as you are entertained by the Captain’s colourful commentary on the history of Peterborough and the Trent Severn Waterway. 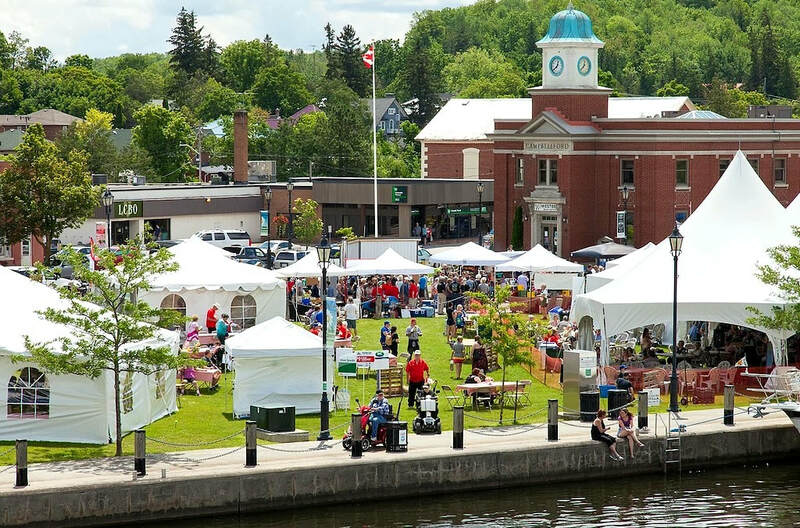 The tour takes us across Little Lake, past the Peterborough Centennial Fountain and into the City of Peterborough portion of the 114-year-old lock system. The first traditional lock raises the boat 12 feet. 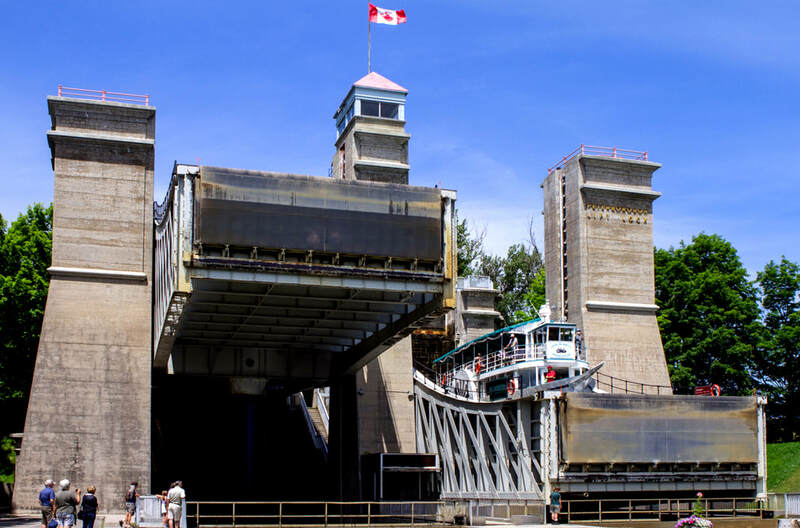 ​The highlight of the trip however is where you go up and over the Peterborough Liftlock, the world’s highest hydraulic Liftlock which lifts the boat 65 feet or 19.8m above the city! Local farmers, food producers, chefs, cuisine innovators and artisanal food vendors will have their unique and freshly farmed product for you to taste and purchase if it happens to tickle your taste buds. 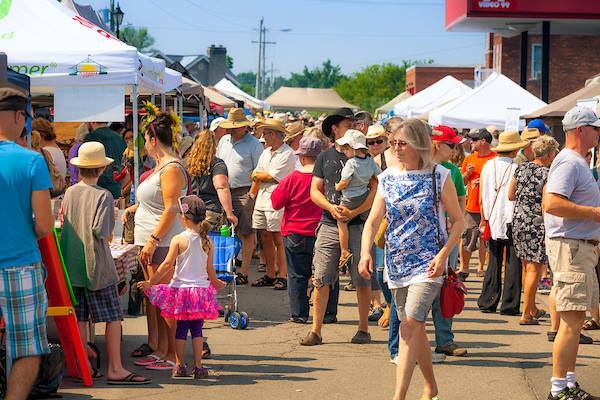 Now in it's 5th year, the festival will have over 40 vendors and live musical entertainment all day long. This is also your lunch stop and there will be vendors selling food. To see a list of participating vendors this year, please click here.